LAHORE/ SIALKOT (ENN) Former Indian cricketer-turned-politician Navjot Singh Sidhu led his country’s delegation to Pakistan here on Tuesday for the groundbreaking ceremony of the Kartarpur corridor to be held on November 28. The Indian delegation comprising Minister for Food Harsimrat Kaur Badal, Minister for Housing Hardeep S Puri and Sidhu reached Lahore through the Wagah Border crossing where they were received by officials of the Punjab Rangers. Speaking to the Journalists upon crossing the Wagah Border, Sidhu thanked Prime Minister Imran Khan for inviting him to the groundbreaking ceremony of the Kartarpur corridor. “The seed that Imran Khan sew three months ago has become a tree now and me and 120 million Sikhs could not be happier. I want to thank Pakistani prime minister and officials,” he said. Karturpur corridor will prove to be a path of peace and instead of 60 years, happiness can come in six months through it. This corridor will be the reason that borders between both the countries open, Sidhu added. Religion should not be seen through the eyes of politics, the former Indian cricketer-turned-politician said. Responding to a question regarding criticism by some Indian ministers of his decision to visit Pakistan, Sidhu said, I forgive those who criticised me. Prime Minister Imran Khan on Wednesday will perform the groundbreaking of the corridor connecting Gurdwara Darbar Sahib in Kartarpur area of Narowal district with Dera Baba Nanak in India’s Gurdaspur District. 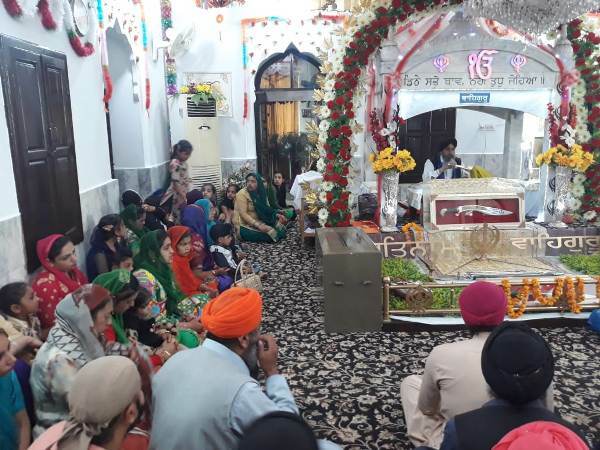 India last week gave the go-ahead to Pakistan’s proposal to build Kartarpur corridor to facilitate Sikh pilgrims wishing to visit the Gurdwara Darbar Sahib in Narowal District near the Indian border. The proposal to construct the corridor providing visa-free access to Sikh pilgrims was renewed by Army Chief Gen Qamar Javed Bajwa in August this year. While A great hustle bustle of the visiting male and female Sikh Yatrees (pilgrims) from World’s different countries was witnessed at Gurdawara Babey Di Beri in Sialkot and Gurdawara Darbar Sahib Kartarpur-Shakargarh near here. They performed their religious rites there, amid tight security. They were much delighted and glad due to opening of Kartarpur Corridor. 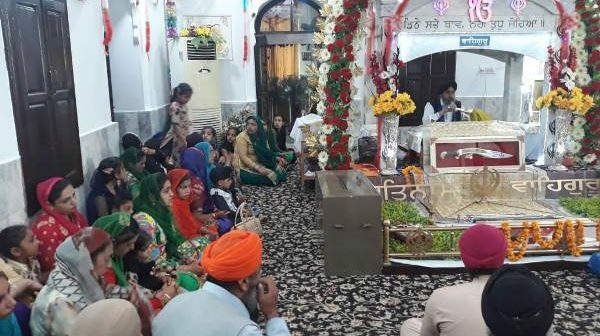 Meanwhile, Sikh community’s sacred religious place Gurdawara Darbar Sahib Kartarpur-Shakargarh has been renovated near here, following the opening of the Kartarpur Corridor between India and Pakistan to facilitate the Sikh community here. The hundreds of the male and female Sikh Yatrees (pilgrims) were reaching here from world’s different countries to participate in their religious rites at Gurdawara Babey Di Beri in Sialkot and Gurdawara Darbar Sahib Kartarpur-Shakargarh near here. Both nuclear neighbour Pakistan and India have announced to open the Kartarpur Corridor as a goodwill gesture to facilitate the Sikh community by giving them the visa-free entry between the two countries through this Kartarpur Corridor to visit Gurdawara Darbar Sahib Kartarpur-Shakargarh near here (one of the holiest sites of the Sikh faith in Pakistan) for performing their religious rites there. Both Pakistani and Indian sides have already started the construction work for establishing the Kartarpur Corridor for facilitating the Sikh community in Pakistan and India. Under this warmly welcomed agreement, both of Pakistan and Indian will establish a special corridor namely Kartarpur Corridor besides providing customs facilities to the Sikh pilgrims as well. This project will complete in 2019, said the concerned officials.